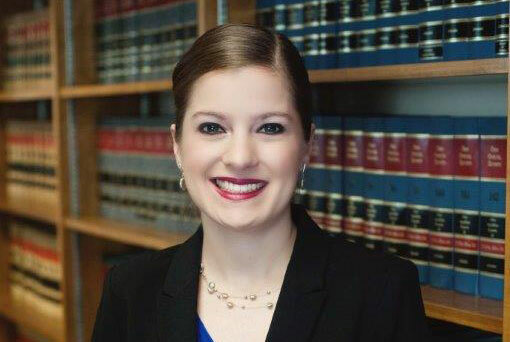 The law firm of Newcomer, Shaffer, Spangler & Breininger is pleased to announce that Katherine (Katie) J. Rakes has joined the firm as an associate attorney. Katie was born in Bryan, Ohio, and graduated from Fairview High School in 1999. She received her bachelor’s degree from Huntington College in 2003, earned a master’s degree from Indiana University in 2009, and a law degree from the Appalachian School of Law in 2013. Her prior experiences include: working as a legislative intern with the Insurance Institute of Indianapolis; serving as a legislative assistant with the Indiana House of Representatives; and working as the scheduling coordinator for the Mayor of Indianapolis. While in law school, she served on the Editorial Board of the Appalachian Journal of Law and worked as a clerk for the Justice Law Office. After being admitted to the Indiana Bar in 2014, Katie practiced in Indianapolis with a firm which focused on Elder Law and Estate Planning. She has recently returned to her roots in Northwest Ohio and was admitted to the Ohio Bar in November of 2015. When asked why she returned to rural Northwest Ohio, she stated, “My time in Indianapolis gave me a renewed appreciation for small town relationships and the community spirit found in those small towns.” Katie intends to become very involved in civic and charitable organizations. She is accepting new clients and is focusing her practice in domestic relation matters, estate planning matters, real estate issues, and other cases advancing her general practice in Williams and Defiance Counties.